Decades ago, as Nazi planes dominated the British sky, eighteen-year-old Lily Verner made a terrible mistake. She's tried for decades to forget, but now an unexpected event pulls her back to the 1940s British countryside. She finds herself remembering the brilliant, lustrous colors of the silk she helped to weave at her family's mill, the relentless pressure of the worsening war, and the kind of heartbreaking loss that stops time. In this evocative novel of love and consequences, Lily finally confronts the disastrous decision that has haunted her all these years. 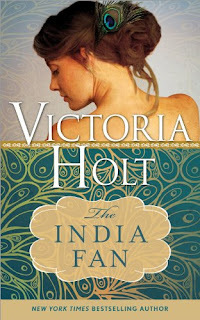 From Victorian England to then-colony India, India Fan centers on Druscilla Delaney, a parson's daughter, in thrall to the wealthy Framling family. Druscilla becomes the reluctant friend to the arrogant Framling daughter, Lucia, who constantly requires rescuing from her own rash decisions. Druscilla also has a romantic interest in the Framling son, Fabian, but she mistrust his intentions and avoids him. 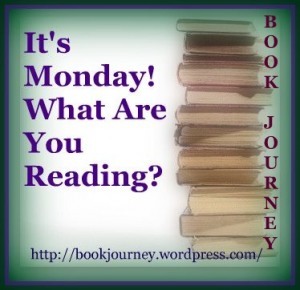 Druscilla follows the Framlings to a British outpost in India to avoid a marriage of convenience. There, her feelings for Fabian are finally acknowledged. Shortly after arriving however, the Sepoy Rebellion breaks out. Duscilla finds herself trapped in New Delhi after the rebel takeover, and only Fabian can save her. Awkward in his own skin, shy around girls and worried about anything and everything, Jason Evans is just like a million other teenage boys in high school, with one very large exception: he has been given a gift that allows him to jump through time. A set of stones has fallen into his lap that gives him access to any place - and any time - that he chooses. But along with that gift comes the responsibility of stopping the man who is using those very stones to travel through time and change history for his own purposes. A man who is now holding Jasons grandfather hostage, and threatening the worlds very existence. 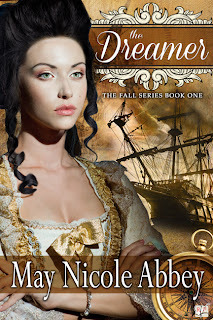 Jumping through time with his best friend and body guard, Jason must enter the world of Medieval England, learn its customs, navigate unimaginable danger, and help Henry VII win the Battle of Bosworth, in the name of finding his grandfather, rescuing a beautiful girl from the clutches of a corrupt church, and destroying the one man who pledges to turn history inside out. This is the fourth book in Tundra's Great Idea Series of biographies for young readers. The story behind the invention of the elevator is one that all young children can relate to! The previous books in the series have been well reviewed, and this new book will be equally compelling. 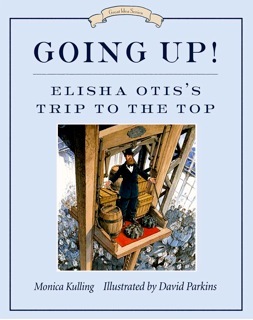 A short, fully illustrated biography in the award-winning GREAT IDEA SERIES, about the man who invented the elevator - Elijah Otis. The man who enabled the hi-rise, and other feats of modern architecture.